In this paper, we describe ultraviolet-A (UV-A) light-emitting diodes (LEDs) emitting at 325 nm based on a highly uniform structure of quantum-confined AlGaN quantum-disk nanowires (NWs). By incorporating a 20 nm TaN interlayer between a Ti pre-orienting layer and the silicon substrate, we eliminated the potential barrier for carrier injection and phonon transport, and inhibited the formation of interfacial silicide that led to device failure. Compared to previous reports on metal substrate, we achieved a 16 × reduction in root-mean-square (RMS) roughness, from 24 nm to 1.6 nm, for the samples with the Ti/TaN metal-bilayer, owing to the effective diffusion barrier characteristic of TaN. This was confirmed using energy dispersive X-ray spectroscopy (EDXS) and electron energy loss spectroscopy (EELS). We achieved a considerable increase in the injection current density (up to 90 A/cm2) compared to our previous studies, and an optical power of 1.9 μW for the 0.5 × 0.5 mm2 NWs-LED. This work provides a feasible pathway for both a reliable and stable UV-A device operation at elevated current injection, and eventually towards low-cost production of UV devices, leveraging on the scalability of silicon substrates. M. A. Würtele, T. Kolbe, M. Lipsz, A. Külberg, M. Weyers, M. Kneissl, and M. Jekel, “Application of GaN-based ultraviolet-C light emitting diodes--UV LEDs--for water disinfection,” Water Res. 45(3), 1481–1489 (2011). L. Krcmová, A. Stjernlof, S. Mehlen, P. C. Hauser, S. Abele, B. Paull, and M. Macka, “Deep-UV-LEDs in photometric detection: A 255 nm LED on-capillary detector in capillary electrophoresis,” Analyst (Lond.) 134(12), 2394–2396 (2009). M. Kneissl, T. Kolbe, C. Chua, V. Kueller, N. Lobo, J. Stellmach, A. Knauer, H. Rodriguez, S. Einfeldt, and Z. Yang, “Advances in group III-nitride-based deep UV light-emitting diode technology,” Semicond. Sci. Technol. 26, 014036 (2010). G. A. Shaw, A. M. Siegel, J. Model, and D. Greisokh, “Recent progress in short-range ultraviolet communication,” in Proc. of SPIE, 2005), 215. B. Janjua, H. Sun, C. Zhao, D. H. Anjum, D. Priante, A. A. Alhamoud, F. Wu, X. Li, A. M. Albadri, and A. Y. Alyamani, “Droop-free Al x Ga 1-x N/Al y Ga 1-y N quantum-disks-in-nanowires ultraviolet LED emitting at 337 nm on metal/silicon substrates,” Opt. Express 25, 1381–1390 (2017). S. Zhao, A. T. Connie, M. H. Dastjerdi, X. H. Kong, Q. Wang, M. Djavid, S. Sadaf, X. D. Liu, I. Shih, H. Guo, and Z. Mi, “Aluminum nitride nanowire light emitting diodes: Breaking the fundamental bottleneck of deep ultraviolet light sources,” Sci. Rep. 5, 8332 (2015). S. Jahangir, M. Mandl, M. Strassburg, and P. Bhattacharya, “Molecular beam epitaxial growth and optical properties of red-emitting (λ= 650 nm) InGaN/GaN disks-in-nanowires on silicon,” Appl. Phys. Lett. 102, 071101 (2013). B. Janjua, H. Sun, C. Zhao, D. H. Anjum, F. Wu, A. A. Alhamoud, X. Li, A. M. Albadri, A. Y. Alyamani, M. M. El-Desouki, T. K. Ng, and B. S. Ooi, “Self-planarized quantum-disks-in-nanowires ultraviolet-B emitters utilizing pendeo-epitaxy,” Nanoscale 9(23), 7805–7813 (2017). C. Zhao, T. K. Ng, N. Wei, A. Prabaswara, M. S. Alias, B. Janjua, C. Shen, and B. S. Ooi, “Facile formation of high-quality InGaN/GaN quantum-disks-in-nanowires on bulk-metal substrates for high-power light-emitters,” Nano Lett. 16(2), 1056–1063 (2016). C. Zhao, T. K. Ng, R. T. ElAfandy, A. Prabaswara, G. B. Consiglio, I. A. Ajia, I. S. Roqan, B. Janjua, C. Shen, J. Eid, A. Y. Alyamani, M. M. El-Desouki, and B. S. Ooi, “Droop-Free, Reliable, and High-Power InGaN/GaN Nanowire Light-Emitting Diodes for Monolithic Metal-Optoelectronics,” Nano Lett. 16(7), 4616–4623 (2016). H. Li, G. Zhao, L. Wang, Z. Chen, and S. Yang, “Morphology Controlled Fabrication of InN Nanowires on Brass Substrates,” Nanomaterials (Basel) 6(11), 195 (2016). M. Wölz, C. Hauswald, T. Flissikowski, T. Gotschke, S. Fernández-Garrido, O. Brandt, H. T. Grahn, L. Geelhaar, and H. Riechert, “Epitaxial growth of GaN nanowires with high structural perfection on a metallic TiN film,” Nano Lett. 15(6), 3743–3747 (2015). B. J. May, A. G. Sarwar, and R. C. Myers, “Nanowire LEDs grown directly on flexible metal foil,” Appl. Phys. Lett. 108, 141103 (2016). A. T. Sarwar, S. D. Carnevale, F. Yang, T. F. Kent, J. J. Jamison, D. W. McComb, and R. C. Myers, “Semiconductor Nanowire Light-Emitting Diodes Grown on Metal: A Direction Toward Large-Scale Fabrication of Nanowire Devices,” Small 11(40), 5402–5408 (2015). J. Tao, N. W. Cheung, and C. Hu, “Electromigration characteristics of copper interconnects,” IEEE Electron Device Lett. 14, 249–251 (1993). I. Blech and E. Meieran, “Electromigration in thin Al films,” J. Appl. Phys. 40, 485 (1969). M. Kwak, D. Shin, T. Kang, and K. Kim, “Characteristics of TiN barrier layer against Cu diffusion,” Thin Solid Films 339, 290–293 (1999). H. Ono, T. Nakano, and T. Ohta, “Diffusion barrier effects of transition metals for Cu/M/Si multilayers (M= Cr, Ti, Nb, MO, Ta, W),” Appl. Phys. Lett. 64, 1511–1513 (1994). S. Q. Wang, S. Suthar, C. Hoeflich, and B. J. Burrow, “Diffusion barrier properties of TiW between Si and Cu,” J. Appl. Phys. 73, 2301–2320 (1993). M. Wittmer, “TiN and TaN as diffusion barriers in metallizations to silicon semiconductor devices,” Appl. Phys. Lett. 36, 456–458 (1980). C. S. Kang, H.-J. Cho, Y. Kim, R. Choi, K. Onishi, A. Shahriar, and J. Lee, “Characterization of resistivity and work function of sputtered-TaN film for gate electrode applications,” J. Vac. Sci. Technol. B Microelectron. Nanometer Struct. Process. Meas. Phenom. 21, 2026–2028 (2003). W. Guo, M. Zhang, A. Banerjee, and P. Bhattacharya, “Catalyst-free InGaN/GaN nanowire light emitting diodes grown on (001) silicon by molecular beam epitaxy,” Nano Lett. 10(9), 3355–3359 (2010). 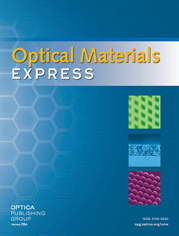 S. Maeda, K. Tomioka, S. Hara, and J. Motohisa, “Fabrication and characterization of InP nanowire light-emitting diodes,” Jpn. J. Appl. Phys. 51, 02BN03 (2012). Y.-H. Ra, R. Navamathavan, J.-H. Park, and C.-R. Lee, “High-quality uniaxial In x Ga 1-x N/GaN Multiple Quantum Well (MQW) Nanowires (NWs) on Si(111) Grown by Metal-Organic Chemical Vapor Deposition (MOCVD) and Light-Emitting Diode (LED) Fabrication,” ACS Appl. Mater. Interfaces 5(6), 2111–2117 (2013). M. A. Zimmler, D. Stichtenoth, C. Ronning, W. Yi, V. Narayanamurti, T. Voss, and F. Capasso, “Scalable fabrication of nanowire photonic and electronic circuits using spin-on glass,” Nano Lett. 8(6), 1695–1699 (2008). S. Murarka and D. Fraser, “Thin film interaction between titanium and polycrystalline silicon,” J. Appl. Phys. 51, 342–349 (1980). V. Fouquet, L. Pichon, M. Drouet, and A. Straboni, “Plasma assisted nitridation of Ti-6Al-4V,” Appl. Surf. Sci. 221, 248–258 (2004). R. Bower and J. Mayer, “Growth kinetics observed in the formation of metal silicides on silicon,” Appl. Phys. Lett. 20, 359–361 (1972). Y. L. Corcoran, A. H. King, N. de Lanerolle, and B. Kim, “Grain boundary diffusion and growth of titanium silicide layers on silicon,” J. Electron. Mater. 19, 1177–1183 (1990). H. Kato and Y. Nakamura, “Solid state reactions in titanium thin films on silicon,” Thin Solid Films 34, 135–138 (1976). S. Herd, K. Tu, and K. Ahn, “Formation of an amorphous Rh‐Si alloy by interfacial reaction between amorphous Si and crystalline Rh thin films,” Appl. Phys. Lett. 42, 597–599 (1983). W. Lur and L. Chen, “Growth kinetics of amorphous interlayer formed by interdiffusion of polycrystalline Ti thin‐film and single‐crystal silicon,” Appl. Phys. Lett. 54, 1217–1219 (1989). D. Gerthsen, E. Hahn, B. Neubauer, A. Rosenauer, O. Schön, M. Heuken, and A. Rizzi, “Composition fluctuations in InGaN analyzed by transmission electron microscopy,” physica status solidi (a) 177, 145– 155 (2000). T. Matsuoka, “Phase Separation in wurtzite In 1− x− y Ga x Al y N,” Materials Research Society Internet Journal of Nitride Semiconductor Research 3, e54(1998). A. Pierret, C. Bougerol, M. d. Hertog, B. Gayral, M. Kociak, H. Renevier, and B. Daudin, “Structural and optical properties of Alx Ga1–xN nanowires,” physica status solidi (RRL)- Rapid Research Letters 7, 868–873 (2013). M. Tao, D. Udeshi, S. Agarwal, E. Maldonado, and W. Kirk, “Negative Schottky barrier between titanium and n-type Si (001) for low-resistance ohmic contacts,” Solid-State Electron. 48, 335–338 (2004). R. Beyers, D. Coulman, and P. Merchant, “Titanium disilicide formation on heavily doped silicon substrates,” J. Appl. Phys. 61, 5110–5117 (1987). H. Yoshida, Y. Yamashita, M. Kuwabara, and H. Kan, “A 342-nm ultraviolet AlGaN multiple-quantum-well laser diode,” nature photonics 2, 551–554 (2008). Fig. 1 Morphological and structural characterization of template substrates developed in this investigation: AFM analysis of (a) Ti/Si (Ti on Si substrate) and (b) Ti/TaN/Si (Ti on TaN/Si). (c) Comparative statistical analysis of RMS roughness for (a) and (b). (d) STEM and EELS maps of the Ti/TaN/Si template substrate prior to growth of NWs, showing a sharp interface and distinct layer-structure, indicating the absence of Ti-Si interdiffusion. Fig. 2 (a-b) Comparison of SEM micrographs for AlGaN NWs LED structure showing the rough surface and the height inhomogeneity for NWs grown on (a) Ti/Si, and the improvement for NWs on (b) Ti/TaN/Si. (c) Cross section dark-field STEM (Z-contrast) image of the Ti/TaN/Si sample (the red dash-line shows the boundary of a single nanowire). (d-g) EDXS elemental mapping of the Ti/TaN/Si sample for (d) Si, (e) Ta, (f) N, and (g) Ti, Ga, and Al. (h) EELS elemental mapping of Ti/Si template substrate showing a clear interdiffusion with 20% Ti (~15 nm) remaining after outgassing at 600 °C, and subsequent growth of NWs at 640 °C. Fig. 3 (a) Temperature-dependent PL (TDPL) spectra of AlGaN NWs using a 266-nm pulsed laser excitation, showing both quantum barrier (QB) (288 nm) and QDisks emission peaks. Inset shows an example of fitting PL intensity versus wavelength spectrum using two Gaussian peaks to extract the Qdisks peak wavelengths. (b) Peak shift and FWHM as a function of temperature. Fig. 4 AlGaN NWs LED characterization: (a) linear and semilog plots of current-voltage characteristics showing ~8-V turn-on voltage; and (b) power-voltage characteristics showing up to 1.9 μW optical power. Inset shows AlGaN NWs LED structure. (c) Electroluminescence spectra at different injection currents (from 10 mA to 110 mA), showing a peak wavelength of 325 nm. Inset depicts the shift in peak wavelength (Peak λ) and FWHM with increasing current (I). (d) Plot of relative external quantum efficiency (relative EQE, or ηext) vs. injection current. Fig. 5 LED power stability test with injection current of 72 A/cm2. Inset shows the probed device in operation. Table 1 Sheet resistance of different layer structures. Sheet resistance of different layer structures.